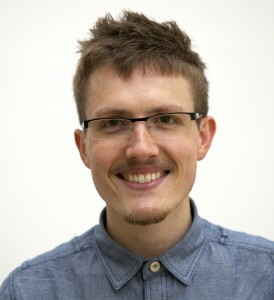 I’m a PhD researcher at Open Lab, Newcastle University with experience in Software Engineering and Social Computing. My research aims to empower communities through the development of platforms to support grassroots commissioning technologies. Currently I’m working on App Movement, a platform that allows communities to commission their own mobile apps around the real world issues that they face. I’ve also developed FeedFinder, a mobile app that allows breastfeeding mothers to rate and review suitable breastfeeding locations and a key example of community driven information systems. I took a short break in my studies to work with Tyne and Wear Archives and Museums and Microsoft Research Cambridge to develop a novel discovery interface for online heritage collections. The Past Paths Project is a new immersive interface that uses scroll speed as an indicator of preference in the recommendation algorithm to enhance the discovery of large online museum collections. I previously worked as a researcher at the University of Lincoln Social Computing Research Centre (LiSC) and worked on a project named ENACT – Exploiting Social Networks to Augment Cognitive Behavioural Therapy in which I developed a Sleep Social Network called Sleeful.me. In short the project investigated the use of social networks and mobile technology to deliver group based Cognitive Behavioural Therapy, using a sleep social network, to patients living with insomnia as well as developing a novel method for sleep recording using a mobile application. I have a keen interest in software development particularly in the web and mobile side of things and enjoy generally getting stuck in with code. Outside of all that I enjoy playing guitar, skiing and being around nice company.